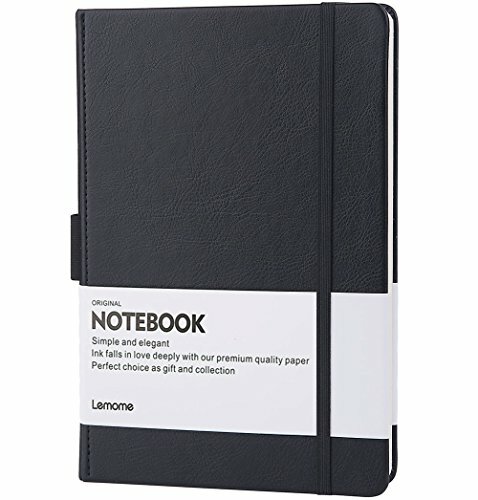 NORTHBOOKS notebooks are designed to help bring some balance to our modern screen-filled lives. 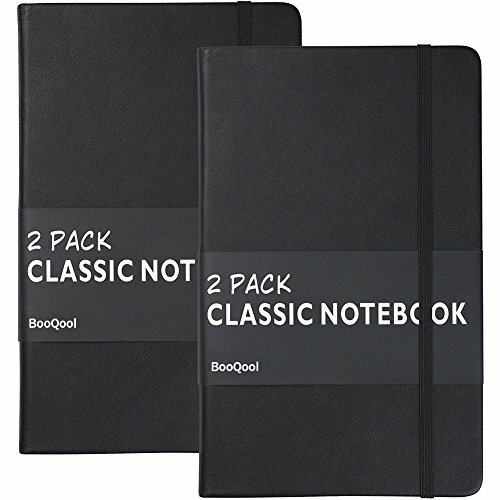 Our SIMPLE, MINIMALIST DESIGN ensures that nothing distracts from what you choose to put into your notebooks - whether you choose to journal, sketch, or take notes. Our durable 50% RECYCLED COVERS are strong and flexible, making them a great choice for the top of your desk or the bottom of your bag. Northbooks are DESIGNED, SOURCED, AND MADE right here in the USA, and we are committed to keeping it that way. We believe our focus on quality materials and craftsmanship pays off, and we think you will agree. Northbooks is honored to have your business, and we encourage you to give your suggestions - your input might help shape future Northbooks products! Click Add to Cart and BUY NOW! 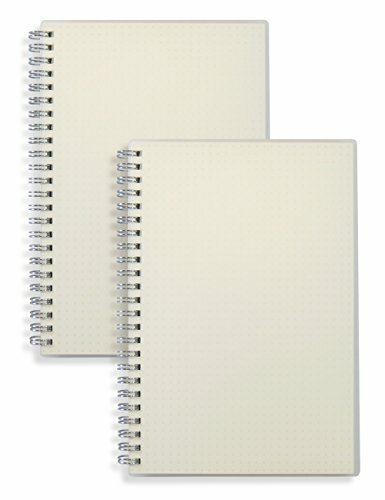 Great for bullet journaling!192 dot-matrix/dot-grid pages.25% heavier paper than other leading brands.100-gsm acid-free/archival paper preserves your work.For planning, designing, sketching, and creating charts and graphs.Ideal for bullet journaling and other dynamic note-taking methods.Inside back cover pocket holds notes, business cards, etc.Elastic band attached to back cover keeps journal closed.Ribbon bookmark keeps your place.Durable hardcover binding.Removable label.Notebook is a classic A5 size (5-3/4 inches by 8-1/4 inches).192 dot-grid pages. RELIEVE STRESS AND UNLEASH YOU CREATIVITY Coloring, drawing and sketching are great activities if you want to live free of stress and stimulate your creativity. There are no rules, just put your phone in silence and start coloring... you will notice how your stress levels drop (and your peace-of-mind increase). Best gift for students,children ,artists,adult coloring books, everyday coloring fun,different craft projects and activities. HUHUHERO FINELINER COLOR PENS The Huhuhero 0.38mm fineliner markers are specially designed for artists, designers, students.. and even for kids! They have a confortable shape to prevent hand pain. 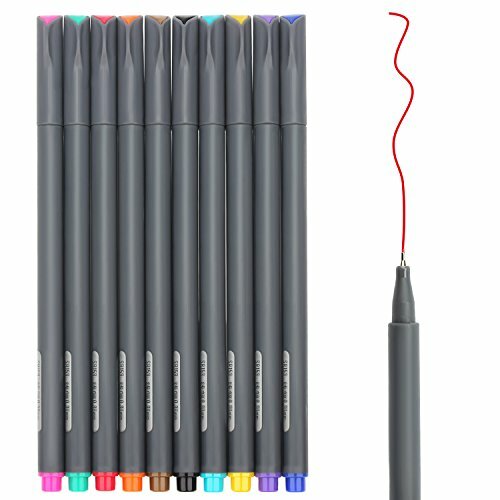 The fine tip let you draw precise, detailed lines and outline bullet journal... and if you're coloring it will let you reach small and difficult areas. FEATURE: Length:7.1 x 7 x 1.7 inches Shipping Weight: 0.154ounces Note: Under the age of 3 years old childrens should not use free when the body in the tutorials. PACKAGE INCLUDING: 1 x 10 Fineline Pens ORDER NOW! 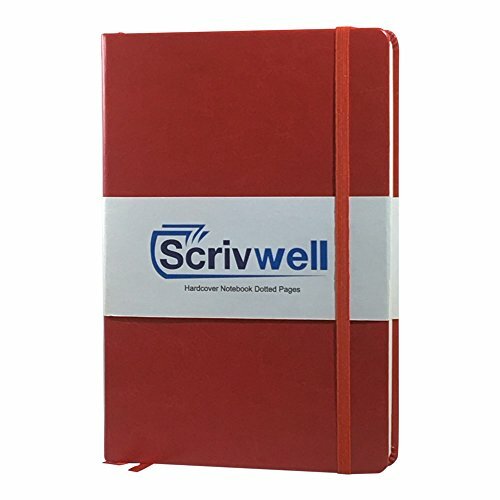 We offer top quality office and art supplies. we have a quality control standard to avoid: ink leaking, broken pens, ink bleeding, dried pens. You are protected by Huhuhero and Amazon Customer Satisfaction Guarantee. Click the order button now! Details Make All the Difference! 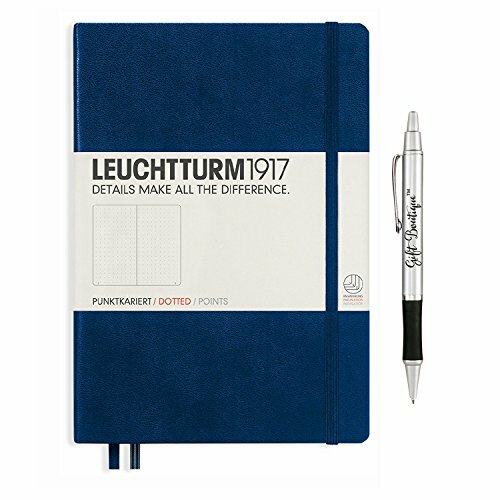 Designed in Germany this navy medium sized notebook by Leuchtturm1917 measures 5.75 by 8.25 inches and contains 249 numbered pages of bleed-proof, acid free dotted paper. 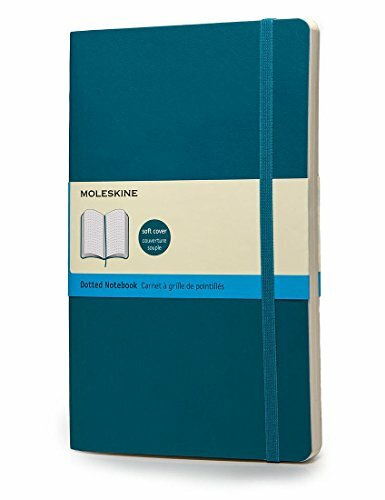 Made with the highest quality materials and an easy to wash hard cover, each book is thread bound and opens flat for easy note taking. 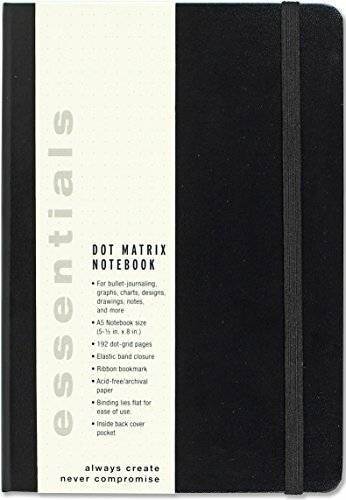 Additional features include a blank table of contents, stickers for labeling and archiving, 8 perforated, detachable sheets, expandable inner pocket and page marker. Specs/Features: 249 Numbered Pages 8 Perforated and Detachable sheets Gusseted Pocket Blank table of contents and numbered pages Page marker Elastic enclosure band Thread-bound book opens flat Ink-proof paper (80 g/sqm) Sticker for labelling and archiving Demensions: 145 x 210 mm Leuchtturm helps you get organized with numbered pages and a blank table of contents in each book and a set of stickers for the cover and spine that allow for clear labeling and archiving. High quality 80 gsm paper ensures that fountain pens and roller balls can be used without bleeding through the page. 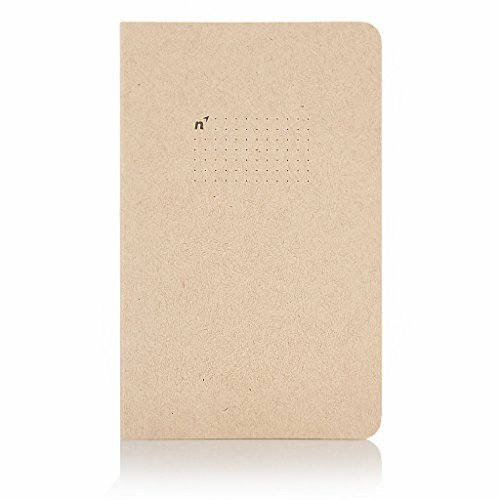 Basic DIY Bullet Journal | Solid Pages, Pockets, and Dot Grid! 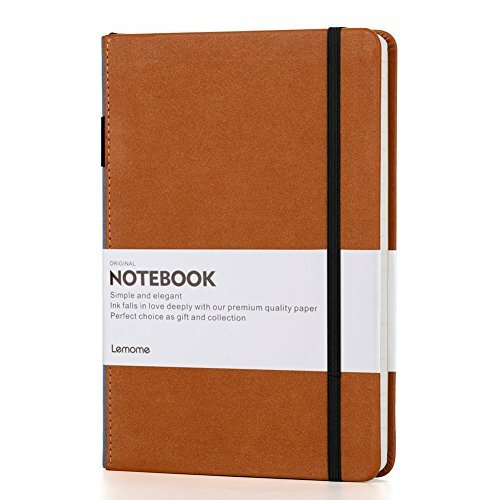 Compare prices on Dotted Notebook at ShoppinGent.com – use promo codes and coupons for best offers and deals. Start smart buying with ShoppinGent.com right now and choose your golden price on every purchase.